I got a bit of a scare today when my AmigaOne XE G4 computer stopped working. Unlike standard PCs, this computer cannot be replaced by simply walking down to a computer store and buying another machine. If this machine did have to be replaced, I would have to order one from overseas. Since I am hard at work with various Amiga projects (particularly this one), this would have been quite a setback. Yes, another Amiga OS 4.x related blog entry. That is because a lot is happening at the moment. In an earlier post, it was mentioned that no hardware that could run Amiga OS 4.x was available for purchase; thus, the shiny new Amiga OS 4.1 was out of reach to everyone but the few (one thousand or so) that already owned Amiga-ones. Well, this hardware drought is finally over. This is now available for purchase with a beta version of Amiga OS 4.1 that will be upgraded to an OEM version once the final version is released. 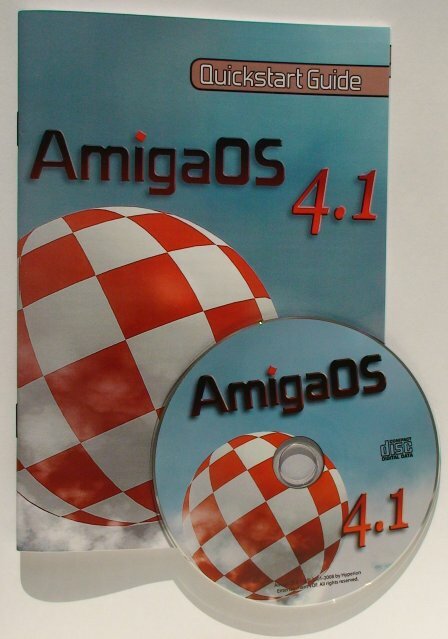 Several weeks ago, Amiga OS 4.1 was announced for Amiga-one systems. I received my copy about a week ago, and have been putting it through its paces since. 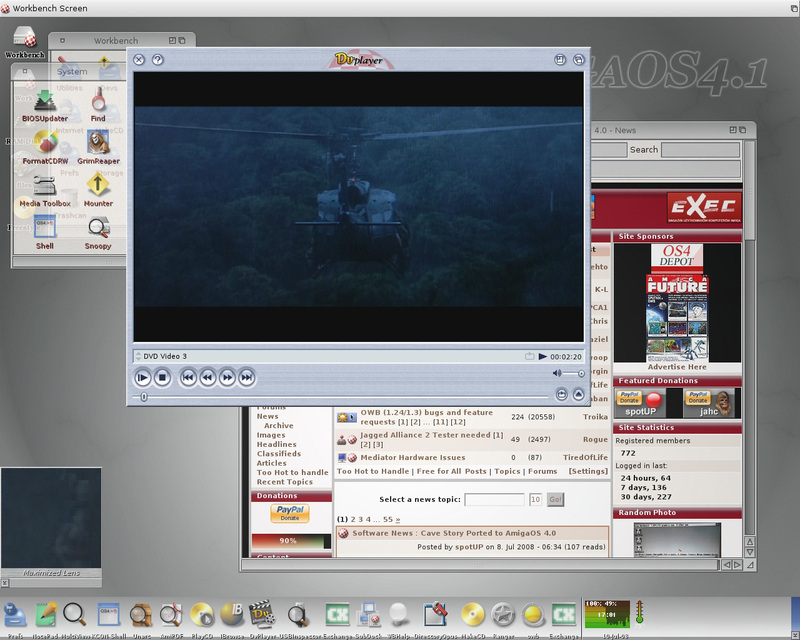 It is definitely a big improvement over Amiga OS 4.0, but still feels like the same system. Visually the operating system is much more impressive. However, most of the improvements are in the underlying system, and are thus hidden from view. From graphics, to USB, to DOS, almost every part of the system has been improved in some form. Here is a quick summary of my impressions of Amiga OS 4.1 so far. A screenshot of Amiga OS 4.1 (obtained from the official announcement). Amiga OS users got a pleasant surprise last Friday with the announcement of Amiga OS 4.1. 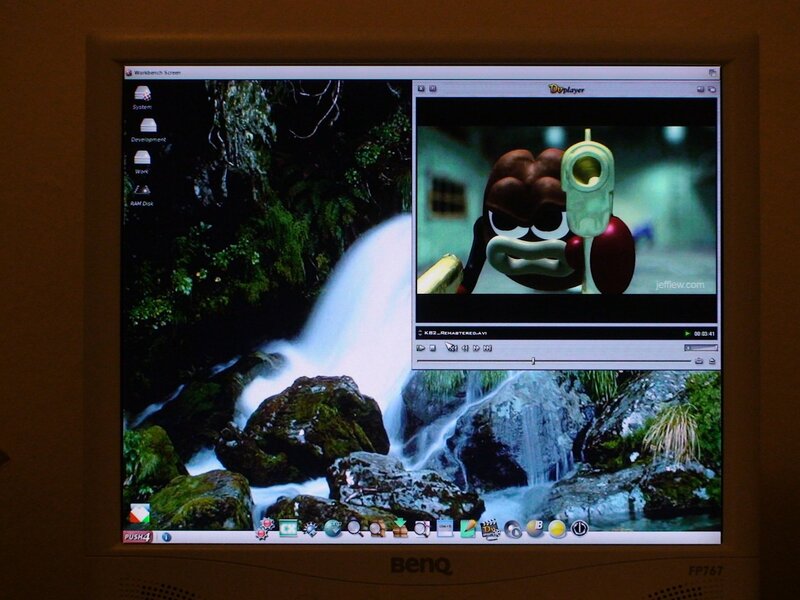 Scheduled for release in Q3, 2008 (i.e., within a month or two), this Amiga OS release builds upon Amiga OS 4.0. This new release includes new functionality such as 3D graphics hardware based compositing, facilitating various effects, such as transparency and zooming/scaling with no noticeable slowdown of the system. A new file-system promising faster and more robust disk access is also included, as is a smart virtual memory pager that only swaps memory to hard-disk when absolutely necessary. For more features, see the original announcement. The first few MiniGL templates are now online in the articles section. Strictly speaking these templates are platform independent, so they could be used on any platform with OpenGL and a GCC compiler. The purpose of the templates is to help developers get started with 3D on Amiga OS 4. They demonstrate how easy it is to set up a simple OpenGL based application.